« Peachez – Lost Dog! 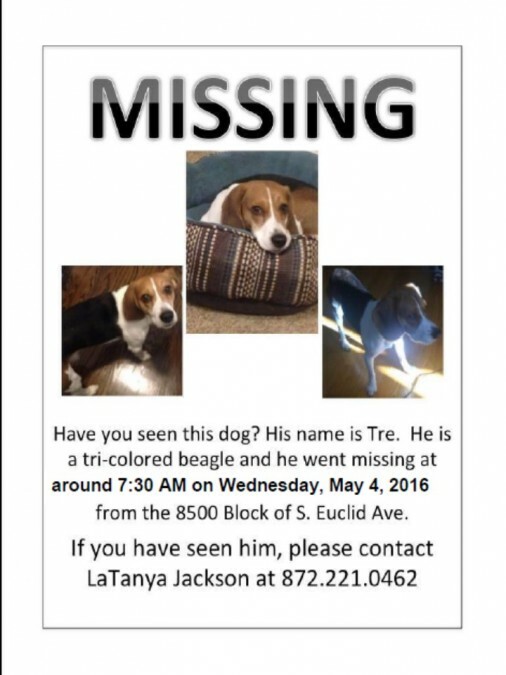 TreTri-colored beagle, lost in Chicago, Illinois. Last seen on Wednesday, May 4, 2016 around 7:30 AM. Tre is a neutered male beagle with a microchip. He weighs 22 lbs.